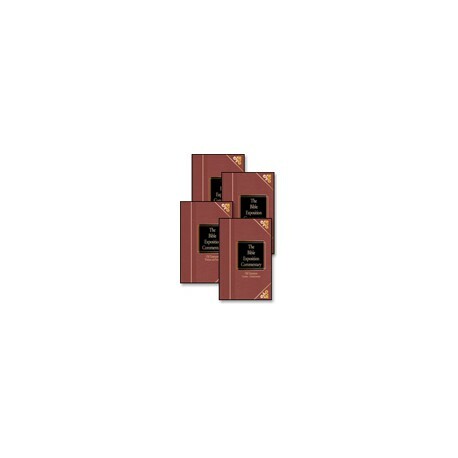 Study the Old Testament in digestible sections that emphasize personal application as well as biblical content. Warren Wiersbe's warm and accessible style doesn't read like a commentary, but like letters from a good friend. Study the Old Testament in digestible sections that emphasize personal application as well as biblical content. Dr. Wiersbe's warm and accessible style doesn't read like a commentary, but like letters from a good friend. As you read the comments in the Bible Exposition Commentary, you're sure to notice that Dr. Wiersbe has a gift for making the complex simple. He weaves his commentary together with personal stories that illustrate the truths of a passage. And now you can draw from his treasury of ideas for explaining God's Word in a way that others will understand and remember.